In this day and age, you’d think that politicians would recognize that technology-savvy users will always find a way around attempts to ban popular social media platforms such as Facebook and Twitter. Turkey’s attempt to block the latter certainly backfired, and cartoonists have been on the frontlines of the anti-censorship movement. Turkey’s prime minister, Recep Tayyip Erdogan, is up for reelection this weekend. In the heated political battle over his seat, he attempted to block Twitter to prevent allegations of corruption and leaked recordings of phone conversations that support the allegations. 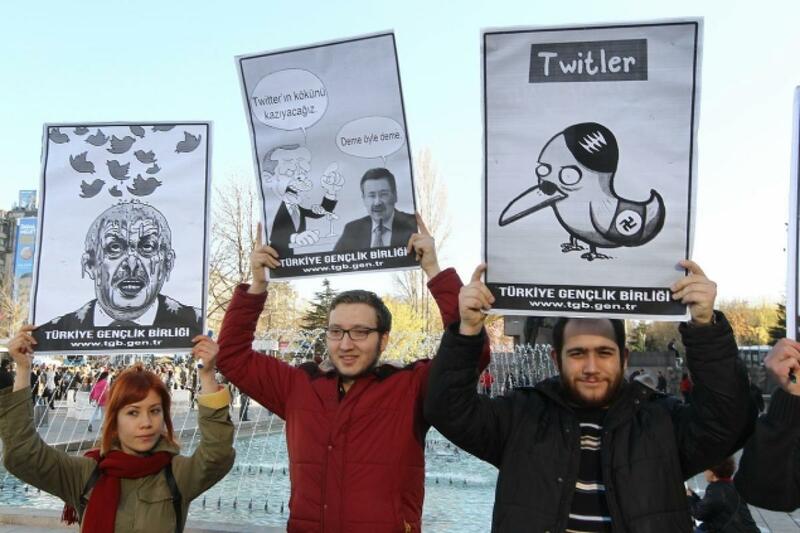 When Erdogan blocked Twitter, users immediately turned to other social media platforms to continue discussing the election and Erdogan and to protest the block. 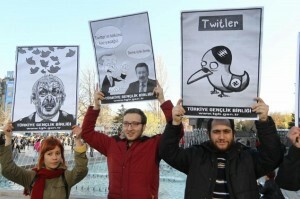 As Erdogan’s block of Twitter backfired, some protestors took to the streets, carrying cartoons that protested the move. Cartoonist Carlos Latuff, who generally focuses on the Israeli-Palestinian conflict, also put Erdogan in his artistic crosshairs. Social media has been used to overcome censorship during the Arab Spring, and in countries such as Malaysia, Iran, Syria and India, and more (including the US). Erdogan’s Twitter ban was overturned by Turkish courts, and the situation serves as yet another example of how social media can be used to overcome censorship.